Dragon 570 – King Yazdegerd III, Yaz to his friends, was surprisingly skilled on the battlefield. Ascending to the throne at the age of 8, Yazdegerd III lived to be in his late 20’s and had kids of his own. 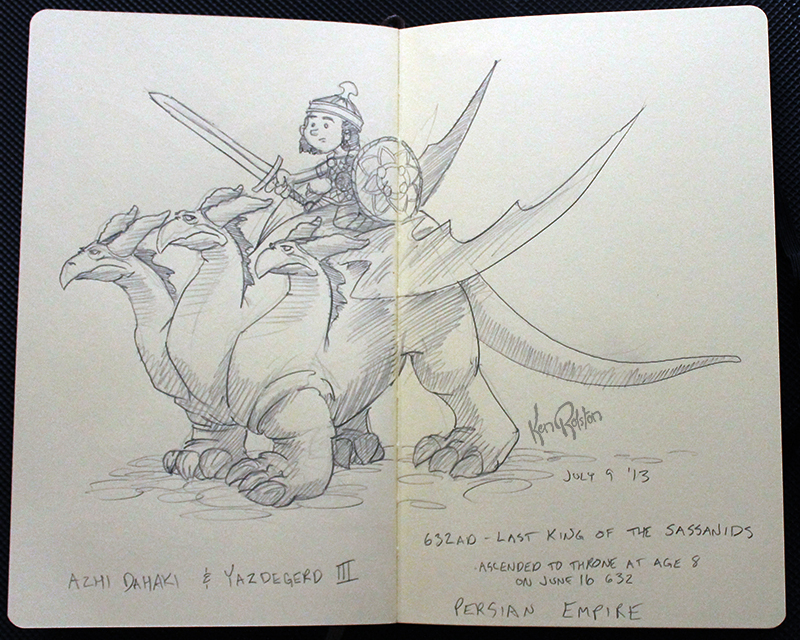 Unfortunately for his heirs, they were not able to hold on to the throne after Yaz’s death, and the Sassanid Empire came to a end.